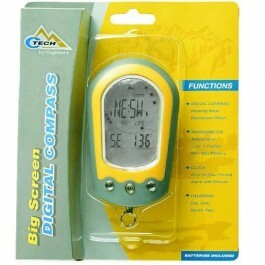 Coghlan's Big Screen Digital Compass is an amazing product perfect for every outdoors-man. It's easy to read with an oversized display. It has a high-impact body with rubberized finish and weather-resistant. 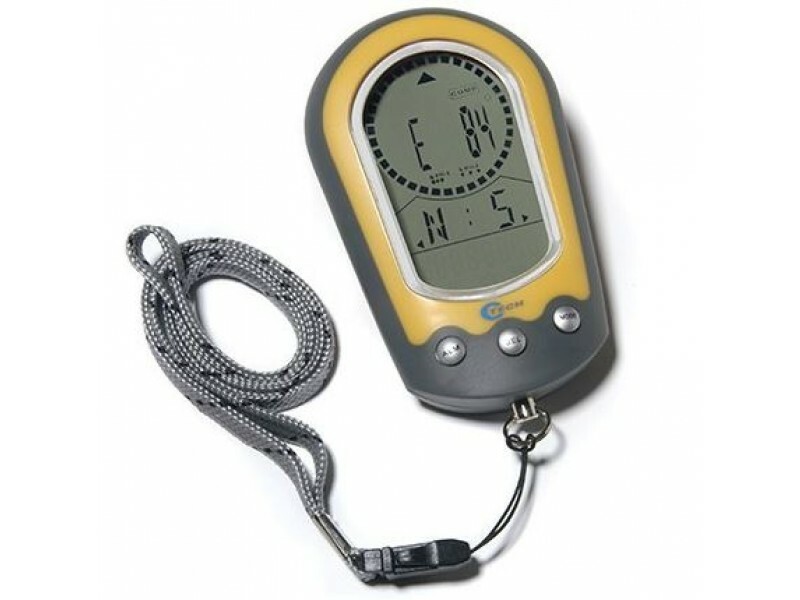 The compass is ideal to go anywhere as it has a long-lasting lithium battery and includes a handy, quick-release lanyard cord for carrying ease. 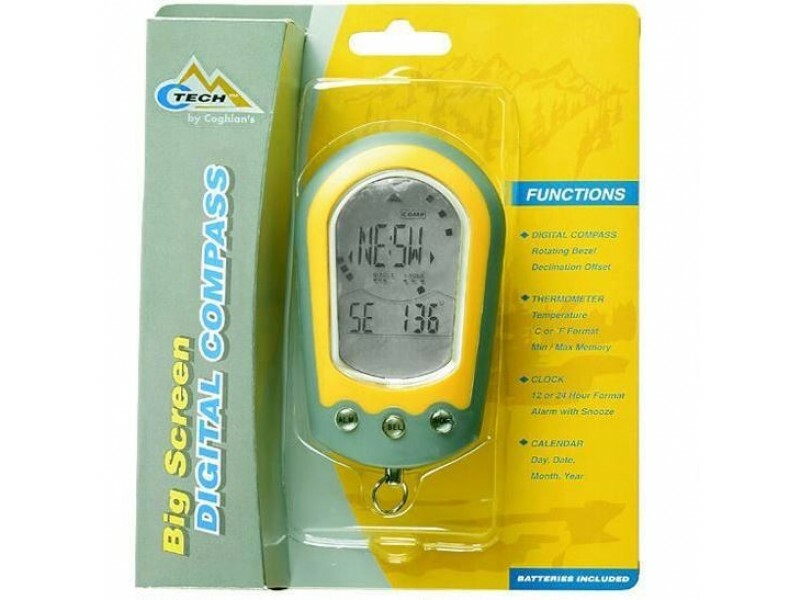 The Coghlan's Big Screen Digital Compass also has a multi-line readout and declination adjustment and thermometer with temperature in °C or °F format and 24 hour min and max memory. The clock is capable of 12 or 24 hour format and the alarm even has snooze for those extra minutes of extra sleep when needed. The calendar features day, date, month and year.